A multi-instrumentalist, artist, and teacher in San Diego, Stefanie has made it her mission to use music to foster empowerment, expression, and connection in children and adults. She plays the clarinet, saxophone, and percussion. As a freelance musician, she has focused on her passion, the music and culture of Brazil. Stefanie performs Brazilian samba and forró with the band Cajuina, Brazilian choro with the band Choro Sotaque, and French gypsy jazz with the band Manouche Five. She is an associate artist for Lambs Players Theatre, performing in the orchestra for musicals such as Fiddler on the Roof and Les Miserables. 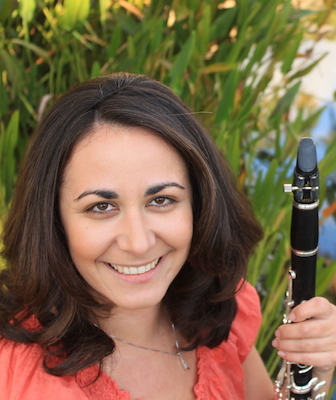 As an educator, Stefanie teaches clarinet and saxophone at La Jolla Music and Kalabash School of Music and Arts, and Brazilian rhythms in schools with the Center for World Music and Arts for Learning.